Charles Carroll of Carrollton – ALS, March 30, 1786, Baltimore. 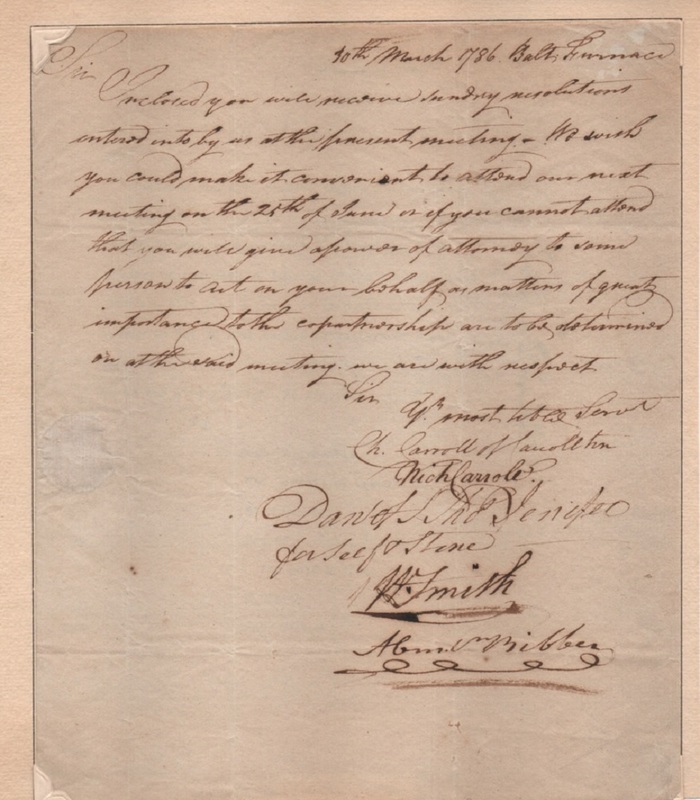 Carroll sends some resolutions relating to the Baltimore Company to Robert Carter. It is co-signed by Daniel of St. Thomas Jenifer, a signer of the Constitution. The letter is hinged to a tipped sheet.